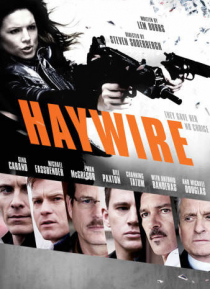 Directed by Steven Soderbergh, this dynamic action-thriller introduces mixed martial arts (MMA) superstar Gina Carano as Mallory Kane, a black-ops agent for a government security contractor. After freeing a Chinese journalist held hostage, Mallory is double-crossed and left for dead - by someone in her own agency. Suddenly the target of assassins who know her every move, Mallory unleashes the fury… of her fighting skills to uncover the truth and turn the tables on her ruthless adversary.